Nick joined NAI James E. Hanson as a Sales Associate in 2016. Nick works directly with Senior Vice President Josh Levering, SIOR. 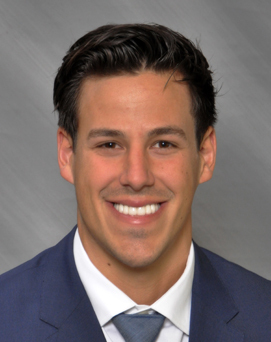 Nick’s team specializes in investment sales and leasing for both office and industrial assets. Immediately after graduating Rutgers, Nick became a Project Manager for Transwestern’s construction management department in their Parsippany office. Nick’s team focused on commercial and industrial construction within the tri-state area. Nick also worked as a Project Manager, Estimator, and Site Supervisor for KMC Mechanical Inc. KMC Mechanical Inc. is a mechanical contracting company that specializes in sprinkler, HVAC, plumbing and process piping throughout the New Jersey and New York tri-state area. Nick’s responsibilities included, cost estimating, bid-leveling, managing change orders, scheduling (permitting, inspections, final C.O. documentation) and site supervisions all through the construction process. Nick continues to educate himself on understanding the construction/design activities within the commercial and industrial building arena. Nick received his Bachelor of Science in Communication and Management. He was recruited and played 4-years of lacrosse for the Rutgers Men’s D-1 Lacrosse team. Nick’s illustrious career playing for the Scarlet Knight’s included being named to the Big East All-Academic team and earning The Big East Player-of-the-Week on multiple occasions. Nick was also awarded the Alfred Sasser Trophy during both his sophomore and junior seasons…earned by the Rutgers University team member who distributed the most assists.